April 22 is Earth Day and I just want to share some great innovation that I have watched in Discovery Channel when I was in the Philippines. This time, you should have learned that the icy part of Earth is continuously melting because of global warming. The melting of ice worsens the condition by raising the sea level. High sea level means some parts of the world will sink or be erased. In the episode of Project Earth, scientists did an experiment on the Greenland’s ice. They used this ice blanket material which has the property to reflect 80% of the sun’s heat powers compared to the regular snow which reflects only 40% of the sun’s rays. 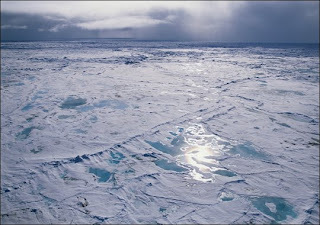 In short, this ice blanket will prevent the ice from melting and can save the source of our fresh water in the future. In the experiment, they placed the ice blanket near the lake in Greenland. The scientists even feared that the ice near the lake will soon collapse because the data shows that the lake increases depth everyday. After six weeks, the scientists went back to the area and surprisingly the experiment worked. The area with the blanket on was firm and intact while the area around it lowered to 2 feet. Imagine if all parts of Greenland and the Arctic will be covered with this material. For sure, there will be a big difference. The only problem is the cost which is more than 100 billion dollars and some logistic issues. I hope this experiment will open the eyes of the people especially the powerful nations. Maybe they can help to fund this initiative. * The polypropylene blankets are incredibly strong — they will stretch to more than 55 percent of their original length prior to failing. * Under a static puncture test, the blankets fail at 3,800 N. This is equivalent to placing a 380-kg weight on the blanket. * The material is highly tear-resistant — the non-woven long fibers stop the tear from spreading. * The chemical makeup of the blanket material makes it highly resistant to organic substances. * The polypropylene is very heavy, weighing 340 grams per square meter. * Like many materials used outdoors, the material is treated with UV stabilizers. 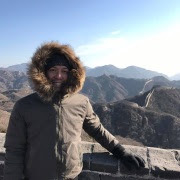 Ultimately, the sun will break down the chemical structure of the polypropylene over a matter of years, and stop it from being a great reflector and insulator. The manufacturers have added even more UV stabilizer than usual to this blanket because of its role on the glaciers. this generation should start to prevent global warming, or else, future generations are the one who will suffer.